If you’re in Fresno, Clovis, or anywhere in the Fresno Valley, you know what summer is like and the importance of a strong and dependable cooling system. For any inquiry you may have, we are the solutions provider for your air conditioner service needs. Marthedal Solar, Air & Heating has been a provider of heating and cooling services throughout Fresno County since 1976. That’s 40+ years of local expertise in HVAC and Solar panel installation. Our goal is to provide nothing but top-notch air conditioning services to the San Joaquin Valley. Keeping the heat at bay with an efficient air conditioner is crucial. Whether you need a tune-up, a repair, or need to replace a worn-out A/C unit, we have the best options under the sun. Have our team come perform a thorough maintenance check on your entire system, come out in your time of need for an HVAC repair, or get a bid on replacing your heating unit with a newer, more efficient system. Slash your utility bill or go completely off the grid with a custom Solar panel solution from our experienced professionals. We also help keep your systems running efficiently all year-round. Nobody likes to wait around for days or weeks to get their air conditioning installed or repaired. At Marthedal Solar, Air & Heating, your comfort is our number one priority. We pride ourselves in our fast response time and 24/7 customer support. Our trucks are ready to respond to any call with lightning-fast response times! Start harnessing the power of the sun and save big on your electric bills with renewable solar energy! Your cooling system is a machine, one that will surely have a piece or two deteriorate over its lifetime. The best way to avoid this is with scheduled, routine maintenance. We thoroughly inspect all systems to ensure you can confidently take the upcoming season head on. With decades of experience in all AC repair solutions (since 1976 to be exact), we are sure to find and solve all your problems. From simple fixes to larger repairs, we are experts in working and troubleshooting all brands and types of air conditioners, new or old. Need a new air conditioner? We are the company for you. So confident in fact that if at any point during the first year of using your new unit, you find yourself dissatisfied… we’ll come out, remove the system, and provide you with a complete refund of the entire purchase. 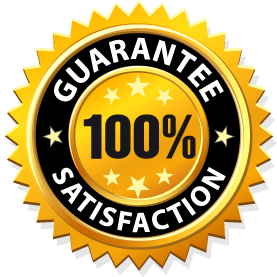 If at any point during the first year of installing and using one of our air conditioning systems you’re not completely satisfied, we’ll come out within 30 days, remove the system, and cheerfully provide you with a complete refund of the entire contract. Solar power in Fresno is a no-brainer. The sun pounds down year-round in Fresno and the entire valley. We provide solar energy solutions for residential, commercial, and agriculture clients. Marthedal Solar, Air & Heating uses only high-quality heating and air conditioning equipment, including #1 consumer-rated American Standard. We offer 24/7 customer support, and our trucks are ready to respond to any call with lightning-fast response time! We firmly stand behind the quality of our service and HVAC systems. Do you pay more than $200 a month on your PG&E Bill? You Probably Qualify to Save a Ton of Money Through CA’s Hero Program! When you choose Marthedal Solar, Air & Heating Solar, we make it painless and stress-free to find affordable financing options. We coordinate with local and state agencies to provide you with easy financing through the California HERO program. We also partner with local banks and credit unions, including Wells Fargo and EECU. Marthedal Solar, Air & Heating was built on a foundation of strong Christian morals and integrity. At every level of our company, we’re dedicated in serving you and delivering only the best. We have two office in the valley from which we offer service to: Fresno, Clovis, Fowler Fig Garden, Calwa, Malaga, Sunnyside, Easton, West Park, Tarpey Village, Sanger, Selma, Reedley, Kingsburg, Dinuba, Hanford, Lemoore, Visalia, and Madera.